Uttar Pradesh Chief Minister Yogi Adityanath on Monday announced an ex-gratia of Rs. two lakh for the kin of deceased in Bareilly truck-bus collision and also Rs. 50,000 for those injured. 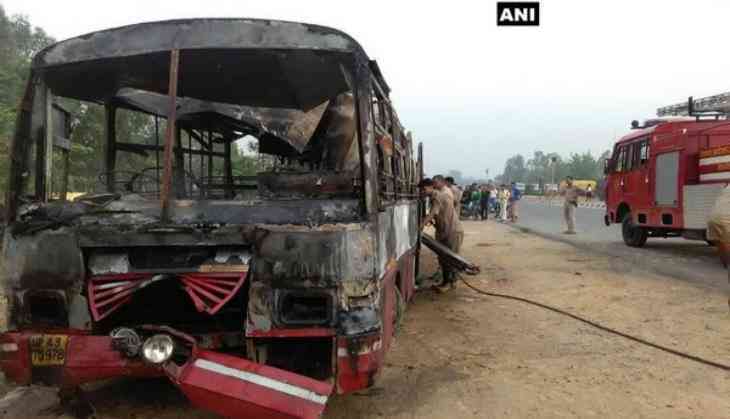 The death toll rose to 22 this morning in a truck-bus collision in Bareilly. A truck collided with a roadways bus on Bada Bypass at around about 2:00 a.m.
A total of thirty-seven passengers were boarded on the bus when the accident took place. The injured have been taken to the district hospital. The doctors believe that death toll is likely to increase.